Can you say that you know how specific keywords are performing, which ones are driving qualified traffic to your website, and how your content is contributing to your business goals? If you are not able to say exactly how your content is helping your business or you relying on guessing then it is time to conduct a professional website audit to ensure the health of your business. A website audit is like taking your car to the shop for a tune-up or going to the dentist every six months for routine cleaning. Since your website is continuously changing and you are updating content to meet adjustments in search engines and the needs of your audience. This type of audit is essential to ensure that your SEO marketing strategy is working and you are driving qualified traffic to your site. If you have had your website for more than five months without A website audit, then you need a professional SEO audit service. A thorough online SEO audit looks at the technical infrastructure of your website, on-page elements, and off page aspects that contribute to your SEO visibility. Why Do A Website Audit? The most important part of a website audit is that a thorough audit will help your site rank in Google, improve usability, and increase conversions. It’s like opening up the hood of your car and looking at all the connections across your digital presence. Much like your auto repair shop, a professional website audit will help you identify different elements of your website and online marketing strategy that is holding your business back. You could be missing out on qualified traffic, and losing the trust of your current customers if your site is not optimized correctly. To ensure that your marketing strategy is working on all cylinders you should conduct a website audit every six months and a holistic marketing review every year. This approach will keep your website content focused on conversions and you will be able to boost your online visibility. Constant upkeep of your website and online marketing performance will have a substantial impact on your sales and business goals. Here are a few reasons why ongoing website audits are needed for your site, especially if you have been in business for over a year. Changes In Search Engine Algorithms: Search engines like Google, Yahoo, and Bing, are continuously updating their calculations in the backend of their services to improve the relevancy and quality of content that they deliver to their audience. To ensure that your site ranks mean that you have to know about those changes so that you can make alterations to your site’s content in specific ways to optimize your website to rank in search engines. Aligning Keywords With Search Intent: Your market, customers, and competition are always changing. You need to make sure that your online messaging and SEO strategy align with current market trends. If you fail to keep your fingers on the pulse of what your customers need then your competition can overtake you and dominate your market. Webmaster Strategies: Google and Bing have appropriate guidelines that your site must comply with if you want your site to rank in their search engines. Websites that fail to comply with these guidelines could result in costly penalties. A website audit will ensure that your site remains compliant with the requirements of these search engines. Site Errors: It’s vital to ensure that your website has a consistent and healthy flow of information throughout your site. Issues like 404 pages can harm your online rankings and disrupt the experience of your customers. A website audit will help you discover these errors and help you avoid unnecessary impacts on your site. Content Relevance: As you build more content for your site, overtime your content can become outdated or irrelevant. Whether you update a product, service, or other information, you need to ensure that all information on your website is relevant to your audience. Having outdated content on your site can make your audience distrust your site, and A website audit will help you identify material that should be removed or updated. Performing a thorough website SEO audit on your site will also help you understand how your site stands compared to your competition. A website audit provides valuable insight into your competitor SEO strategy by giving context to your strategy compared to the efforts of your competition. As search engines become more complex and your business continues to grow, more analytical pieces need to be considered for a website audit. If you want your site to run faster, get found in Google, drive qualified traffic, and boost sales, then you can’t skip an online SEO audit. A proper website audit will not only provide your team with the insights you need to improve your business site, but it will also give your entire organization valuable information to expand your sales and marketing decisions into the future. You should not rely on an amateur SEO audit service to find the details you need to know about your site because a professional SEO audit service will develop strategies to help unlock the full potential of SEO and unleash the energy of your brand. Regular search engine optimization audits are incredibly valuable for the provider’s website. The search engine industry changes very quickly and what is working today might not work in a few months. When done correctly, an audit may strategically enhance your website’s functionality, improve SEO and improve conversions. As search engines continue to work out the best ways to deliver relevant content to their audience, quality backlinks and link building continue to be the most significant factors Google and Bing consider when choosing what material is relevant. The reason that backlinks are so important for your site rankings is that backlinks are one of the few things that you can’t control on the Internet. Having other sites linking to your site indicates to search engines that your content is valuable enough to have other sites mention you on their website. If you want your site to rank higher in Google, then there is no getting around the need for quality backlinks. In previous years you could easily rank your site by simply getting a high number of low-quality links. However, today you need to not only have a large volume of links, but you also need to have backlinks from reputable sources. Search engines consider the quality of sites that are linking back to your site, so beware of gathering a large number of low-quality links because you could get a costly penalty from Google that will harm your site in the long run. Link Score: Google has shown in several patents that they score the value of links to your site by your “link score.” This score is composed by looking at every link that your site has and the number of links from each site. Link Quality: There are telltale signs of spammy sites, and Google applies a weighted score to each link to your site based on the trustworthiness of sites linking to you. If you have a high number of links from low-quality sites, then your site could be susceptible to a Google penalty. Anchor Text Relevance: Anchor text is another vital piece of content that tells Google what your site is about and what it should rank for. While it is essential to keep your anchor text diverse and natural, it is imperative that you ensure your backlinks use anchors that are beneficial and descriptive about the pages links are pointing to on your site. Your SEO audit should consider your backlink profile to uncover opportunities to either add more links to specific pages to boost ranking or diversify your backlink profile as needed. A professional website SEO service will help you understand how your site is ranking through backlinks and look at your competitor’s backlinks to see if you are missing easy opportunities. Type of backlinks the site has overall. The Power and Quality of each Backlink which can be the Majestic Trust Flow vs. Citation Flow, or Ahref Domain Rating or URL Rating of each backlink. The ratio of each kind of backlink – guest posts, news release, comments, article links, sitewide thin links, etc. The anchors used for the backlinks and overall anchor cloud as well as the sequence of the appearance of each backlink and anchor text. Content is the bread and butter of your site because it communicates answers to the questions and needs of your customers. Google relies on content to determine what sites are relevant based on specific search queries. If your content is not optimized for Google, then you will not appear in search results. If your content is not relevant or engaging for your customers, then your site will have low conversion rates. Both of these issues result in less traffic and reduced sales for your business. As you continue to build content to meet the needs of your customers, you will need to look at both quality and quantity of content on your site. A professional SEO content audit will look at a variety of elements to determine the strength of your site and find new ways to improve content for your customers. Keyword Usage: Since search engines continue to rely on text-based information to understand your website, keywords are the most critical aspect of SEO copywriting. Using keywords or different throughout your content like the title, body content, meta descriptions, and ALT tags, are crucial to getting your pages to rank. Content Comprehension: One aspect search engines consider when ranking content online is how complete your site covers a specific topic. Each time your customers type in a search query, Google strives to display the most relevant content on a subject. Google bots crawl your site to understand how well your site covers a given topic, so you should ensure that you share valuable information about a topic if you want to rank well in Google and drive qualified traffic to your site. If you want your online content to rank well in Google and convert your audience, you need to ensure that your content is optimized for the needs of your customers. As your site continues to grow, you could be wasting time and money developing content that is not effective. You and your team could be missing key opportunities for your business goals, and you would miss these opportunities unless you conduct an online audit across your website and review your online marketing strategy on a regular basis. A professional online SEO audit will help you identify what content is working and what content should be modified to improve your online ranking. This aspect of a website audit often provides the most valuable insight because your site depends on Google understanding your products and services, and search engines do this through the value of your content. Stop losing out on sales with poor quality content. Leverage professional SEO services to discover opportunities throughout your business that can help you improve your online rankings and boost sales. One of the pieces of a website audit that many companies fail to address are issues about technical SEO elements on their site. Technical SEO relates to all factors of SEO, along with other aspects of your online presence like content marketing and link building. Since the technical side of SEO are not visual and they are highly technical, many marketings and business owners tend to overlook this aspect of a website audit. 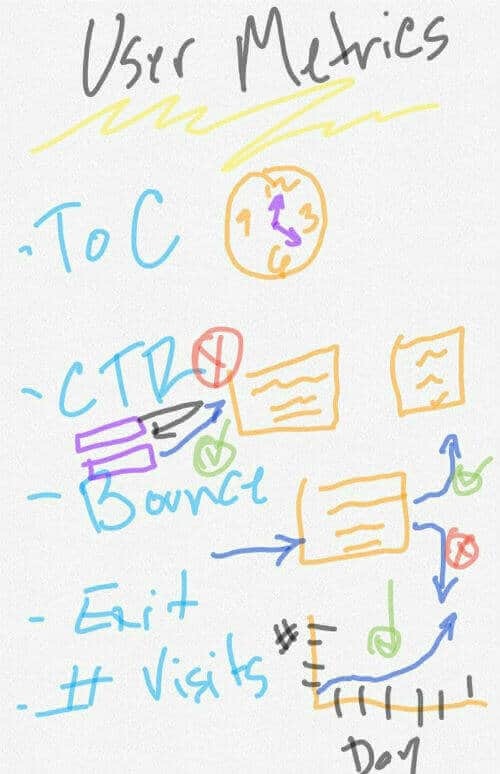 Optimizing elements of your site’s technical SEO ensures that Google bots can crawl your site efficiently to understand your site and your content easily. The guidelines that Google and Bing require of websites to make sites more accessible to understand are continually changing and becoming more complicated. Page Speed: Google knows that your audience demands information to be delivered quickly, so sites that run slow will appear lower in search results. 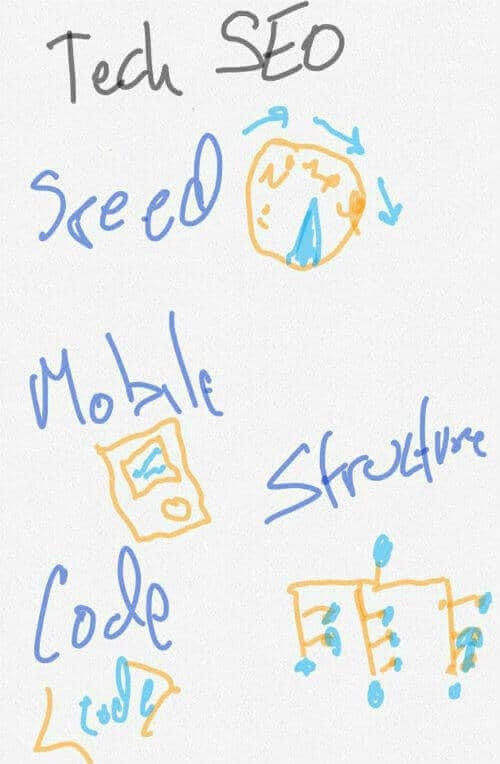 Page speed has a massive influence on User Experience (UX), Bounce Rates, Conversion Rates, etc. Mobile Friendly Design: More than half of all website traffic comes through mobile devices, so your site needs to be mobile-friendly. If your website is not optimized to work on smartphones or tablets, then your site will not rank well on Google or Bing. A website audit should look at how well your site performs on search engines to help you improve your online rankings and User Experience. Internal Link Structure: Internal linking is a vital piece to help your audience and search engines understand the information on your website. Internal links help Google find contextual relationships between different pieces of content, and internal links help your audience learn more about a given topic. Code Validation: Your website is developed using an array of different coding languages. Sometimes these languages can depreciate or conflict with other languages on your site. It’s like having a rope with many strands. If you want the rope to be as strong as possible, then you need to ensure that each strand is tied tightly to the group and no strands are frayed. A website audit will look at the technical aspects of your site to make sure the foundation of your site is optimized and ready to drive qualified leads to your site! An online SEO audit should cover the technical performance of your site to ensure that Google and other search engines can understand your content efficiently. Be sure that your SEO audit includes an overview and suggestions to improve technical SEO components of your website to get the most value out of your website audits. There are ongoing debates about how much Google weighs behavioral factors on your site, but it can’t be debated that User Experience matters on your website. Even if User Experience does not matter to Google, your audience matter because they are the ones who engage with your brand and give you money for your products and services. Search engines want to provide content to your audience that is both relevant and easy to engage with. If Google continues to provide high-quality content that is difficult to interact with, then their user base will drop, and their bottom line will be impacted. This is why your website audit should include a review of User Experience elements on your website. This aspect of a website audit can help you determine ways to improve the experience that your customers have when they come to your site. The click-through-rate (CTR) of pages on your site matters to search engines, as this metric is an indication of how valuable content on your website is for your audience. A page with a low CTR shows that your content is not necessary to your audience, so search engines will likely rank your content lower than similar content with a higher CTR. A professional SEO audit will help you identify low-hanging fruit to improve your site’s CTR. Your SEO audit should help you understand how your marketing team can make your snippets more click-worthy, and look at similar listings of your competitors to drive more qualified traffic to your site. 5. What Is Your Site “Quality Score”? The main aspect to rank websites is that the “quality score” which Google links to your website. Every site has a “unique database” using Google and can be assigned a sort of “Quality Score” metric. This metric is based on Google’s overall assessment of your website. Google leverages advanced AI technology to track how people interact with your site. Understanding how many times people click on your links in SERPs helps Google algorithms identify how engaging your Meta Description and Title are to their audience. Google AI technology also considers how long someone stays on your site, how they engage with your pages, and how often they click through your content. Recognizing both on the page and off page aspects of your site helps Google understand how relevant your content is to searchers. Understanding how your customers engage with your content on SERPs and how they interact with your content once they reach your page is vital to ensure you maintain a high-Quality Score. As your competition continues to grow and your audience changes, you will need to understand the various components of an active website to drive sales. A website audit will provide you valuable information that will help you improve your website Quality Score. As a result, your company will be able to make informed decisions to guide your business growth. Google and other search engines love content because they want to be the go-to source for all questions online. There is an increasing battle between Google, Yelp, and Facebook to provide the most relevant, trustworthy, and accurate answers to questions that people ask every day. If you want your website to drive qualified traffic then you will need to have excellent copywriting services to boost your website traffic and sales. Since search engines only find, categorize, and display content to their users, they rely on companies like yours to provide content. This is where having the best content for humans and search engines will help your business win against your competition. Your business has an excellent opportunity to not only cater search engines with the content they need but also answer questions that your customers are asking online. ­­If you want your business to rank in Google and other search engines then you need to provide relevant content on a consistent basis. A thorough SEO content audit will provide your business with professional insight about the quality of your content for your audience and search engines. What are your customers asking online as it relates to your business? What is the health of your content regarding quality and quantity? Are there technical issues in your content like duplicate content, missing H2 tags, or missing metadata that make it hard for search engines to understand your message? Are there valuable keywords or other factors that your business is missing out on? How does your content compare to your competition? Advanced website audits will provide you with a content gap analysis. This is a holistic review of your content, and it can help you find opportunities in your market for your business to grow. Several professional online marketing tools make on-page content analysis possible. These tools will help your company gain a deeper understanding of how your business ranks compared to your competitors, and it will also help you find opportunities to grow your business and make more money. Google considers how people interact with your content when the AI technology and algorithms rank pages online. 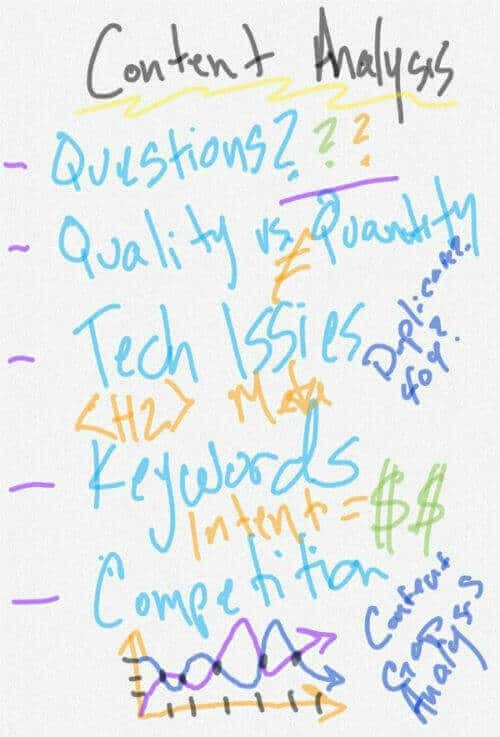 These factors contribute to how Google understands your content and grades the quality of your website information. Since customers are the most important part of your business, you should pay close attention to On-Page metrics to determine how relevant and valuable your content is for your customers. Your business can find all of these on-page user metrics in Google Analytics, but a website audit will help your business determine what metrics matter based on your company goals and industry. However, Analytics only tells you what people are doing and unless you work with a professional SEO consultant, you may not be able to understand how to adjust your online marketing strategy. Search engines want to showcase the best sites with the most relevant content for their audience so they can monetize traffic. Your business could be missing out on qualified leads if you don’t understand these metrics for your site, and you could lose ranking in SERPs if you don’t conduct a website audit that considers these on-page user metrics. A website audit will help you determine how well your content is performing by looking at a range of metrics and help you identify ways to improve how your content is performing. A sitemap is a lot like a roadmap that you give search engines to help them understand your site. Since you want to make it as easy as possible for search engines to learn context about content on your site, submitting a complete Sitemap to search engines is vital to ensure proper online rankings. Google and other search engines will penalize your site if your Sitemap is not optimized, and even if you don’t receive a direct penalty your site will rank lower than your competition if they have an optimized Sitemap. A Sitemap that is set up properly allows your company to indicate specific pages that you do not want search engines to crawl. These pages are usually unimportant, and you manually tell Google not to look at those pages through your Sitemap because you want their bots to focus on your other pages. This gives you direct access to control how your SEO marketing operates and focus on the content that will help you make more money. Reviewing your Sitemap to make sure that your website is structured properly is a great first step, but you need to also oversee other technical aspects to secure top rankings in Google and other search engines. It is also a key part of a website audit because how you structure your Sitemap will have a big impact on how Google understands and indexes your content. Part of your website architecture is looking at the context of content on your site. How content relates to other content on your site can help search engines understand your content on a deeper level. The more search engines understand your content, the better they will rank you in SERPs. While Google will consider your Sitemap when it crawls your site, Google bots look at what pages point to each other, and what anchor text is used for those links. This forms a link map of your site that Google indexes and the most important pages are often the ones with the most links pointing to it. As you begin interlinking content across your site, you should try to only use exact-match keywords. This means that you should use keywords as your anchor text because this will help Google understand your content not only by the links that connect your content but also by the keywords that represent that content being linked to. While you don’t have to worry about over optimization with internal link structure like you do with external SEO link building strategies, you should still rotate the keywords you use for anchor text. This means that you should use a variety of primary keywords on each target page that links to specific pages on your site. Internal linking not only helps search engines understand how your content relates to other content on your site, but proper internal linking will also help on-page metrics, User metrics, and content metrics. As you improve your internal link structure and you see positive impacts on other parameters, your site will begin to rank higher in SERPs and drive more qualified traffic to your site. It is essential to make sure that your site is indexed correctly in Google. You could have all other elements of your site checked in a website audit, but if your site is not indexed correctly in Google, then your efforts will be for nothing. A website SEO audit should review your standing in the Google Index to make sure that all your pages are correctly crawled and indexed. This means that your site is not receiving any 404 errors or any other page indexing issues. Along with making sure that your pages are correctly indexed, your website should also be reviewed for AMP indexing issues if your site has AMP implemented. Your site could lose lots of traffic if it is de-indexed, and this usually results if it is penalized by Google. A professional website audit will uncover the cause of Google penalties, and in the next section, we will look at how and why Google can penalize your website. While Google depends on their powerful algorithm to rank sites, they also have a manual spam team that checks for issues on a website. The algorithm, manual spam team, and other technologies send notices and other Search Console warnings to webmasters to inform them if their sites are in violation of Google guidelines. This is the most potent and devastating notice that Google can send you because this means that your site has been deindexed by Google. This means that your website will not appear in SERPs for as long as your site is in violation of their guidelines. If you receive this notice then you know it is a real person, and you are not able to do much except fixing the various issues Google has identified to trigger this notification. Overcoming this action by Google can be difficult because even after you spend the time and money to clean up your site, you will need to manually submit requests to Google and wait for a real person to review your case. These notifications can only be lifted by a real person at Google, so there can be long periods of waiting before your site is restored. This notice is less severe than “Action Against Site,” but it is still severe because it can cause your site to experience a significant drop in rankings. This is caused when Google notices that you are doing blackhat link building or other actions involving links that it deems against its guidelines. While Google does not clearly define what it considers blackhat activities because they are constantly updating their guidelines, the impacts of Google penalties can have a substantial impact on the health of your online presence. This type of penalty can be avoided with consistent SEO website audits. If you are doing any link building (white hat or otherwise), then you need to have a professional online inspection done on your site every six months. This type of ongoing health checks will help ensure that your website is performing at peak performance and driving qualified traffic to your site. Since Google’s algorithm is not updated in real-time, you won’t have to wait for a full crawl of your site to reset this after a dispute is resolved. You can submit a request to Google to lift this notice, and you should be able to see improved rankings after a short period. While this may seem similar to Content Audits that a website audit will include, this element of a website SEO audit is much different. An SEO Content Audit will evaluate the type of content on your site to improve your chances of driving inbound links. This is the intersection of copywriting services and SEO Audits because it blends the science of SEO with the art of content creation. Thin pages (300 words or less, no images). Duplicate content (content copied from other sites or pages on your site). Inconsistent topical themes (your content should be topically consistent and organized appropriately). Content that does not sound natural or looks like it was spun together using an online tool. Original Content (First found on your site). Original Images (First found on your site). 800+ words minimum (1250 to 3000 words recommended, depending on the intent of the page and competition). 5 to 7 pictures on each page. These images should be spaced throughout your content to help break up large blocks of text. This improves readability on mobile and desktops. Ensure that you use at least 4+ words in your titles and headlines. Every blog post and page on your website should have a Headline (H1) Tag. To help break up blocks of text and give Google the insight their bots need to index your content you should always use subheadings (H2, H3, H4) tags. Ensure that all of your content uses proper grammar since people will be reading your website and you don’t want to look unintelligent to your readers. A website audit will help you identify if your content is not at the level that it should be. This process will also help direct you on the best steps to improve your content to grow your online presence and increase sales. If you want your site to rank, then you need to include keywords throughout your content. This is not just for the body of your content because search engines consider keywords in other areas of your site. One area of your site that you want to check that keywords are included is in the Title Tag of your pages. A website SEO audit will look over all of your pages to make sure that the primary keywords that you want to rank for are in this area of your content. While including the primary keyword in your Title Tag is essential, it is just as crucial not to include the keyword too many times. This is because Google knows if your site is trying to trick the algorithm and if this happens your site could see a reduction of ranking in SERPs. When you write a title for your content, you want it to be informative, relevant, and accurate. There is a balance between making your title too entertaining and not entertaining enough, because if you make the title boring no one will click, but if the title is “Click Bait” then Google and your readers will see the trick and your content will see a drop in ranks. A website audit will help you identify how you can optimize your content for Google’s standards and improve the quality of your content to meet the needs of your audience. Combined, this online SEO audit will help you improve User metrics and on-page optimizations. Part of the Metadata that influences the performance of your content, Meta Descriptions can play a significant role in the rankings that your content receives in SERPs. An online SEO audit will help you understand if your Meta Descriptions are not fully optimized for search engines. This information is an essential piece of your SEO strategy because it is one of the first things that Google looks at when ranking your content. Not only does your Description influence SEO factors, but it is also one of the leading pieces for how your audience interacts with your content because your Descriptions show in SERPs. This means that if your site has not had a website audit in the past year, you need a website audit to review your Meta Descriptions to make sure that you are ranking based on Google best practices, and your content is engaging for your audience. Include powerful CTAs in each Description. Use power words like You, Free, Best, Today, New & Because. 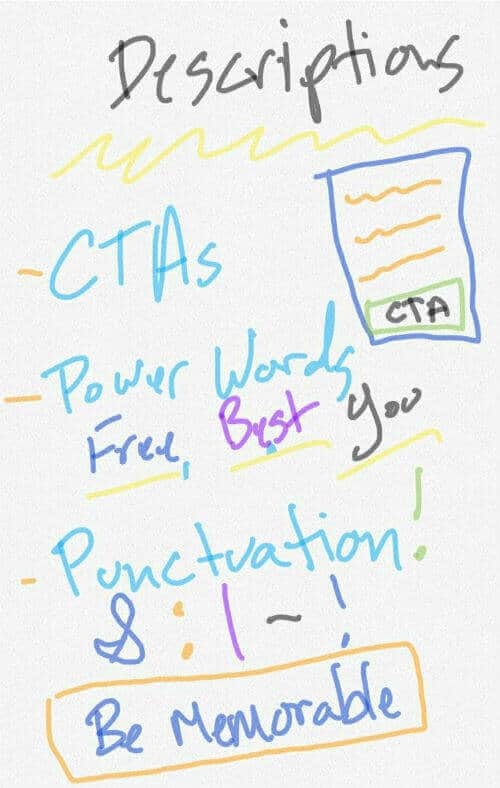 Test punctuation and symbols to draw attention. Don’t always play it safe- use provocative terms to grab attention (but don’t offend, based on your industry). If you are not sure how your Descriptions are performing or how they compare to your competition, then it is time for a website audit. 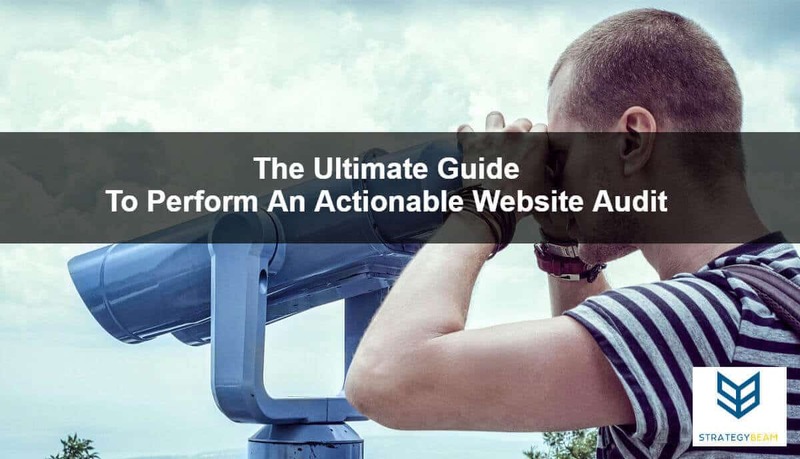 As you review this vital piece of your online presence, you will find other exciting ways to drive qualified traffic to your site. An online SEO audit will also help you identify weaknesses in your competitor’s strategy so you can take over more market share. Many businesses focus on written content to rank in Google and other search engines, but the truth is that images play a big role in how well your site ranks. Images are a standardized content format that Google looks to understand the context of your content. You can optimize images for SEO by focusing on ALT text, captions, and file naming structure. If you want Google to understand your information, then you should be filling out as much information as possible. Not only does this help search engines like Google understand what your images are, but it also helps your readers if their browser is broken or they experience a problem while on your site. Since you should already include images in all of your content, optimizing images is an easy and effective way to boost your SEO marketing strategy. SEO takes into consideration all aspects of your site, and a website audit can help you find images that are not optimized so you can take action and grow your online presence. This is one of the most overlooked aspects of image optimization because you can make ALT tags as long as you want. There is no worry about over optimizations, and you should include several keywords in the ALT tag of each image. Like we talked about before, you should consist of several pictures on each page of your site. This means you have great opportunities to drive your online presence by optimizing the ALT tags of your site images. When you name your images to be sure to use keywords with hyphens in the pace of spaces. Use several keywords as you would for ALT tags, but keep this element of your images more concise than you would ALT tags. It is best practice to make the ALT tag and file name similar, so Google can understand that the file and ALT tag information are related. Thus far, we have talked about technical aspects of a website audit and how this review will benefit your business. While the technical elements of an SEO audit are essential, the bottom line is that your site needs to meet the needs of your customers once they reach your website. A holistic website audit will take all elements of your website into consideration and provide the best course of action to help you make more money, and it will do this by looking at your site layout and User Experience. Each page on your site needs to perform a specific function and fulfill a specific goal. Whether it is your Contact Us page, a lead capture form, or a blog post, your site is comprised of individual pages that are built with a specific goal in mind for each piece of content. To ensure you reach this goal, each page should be crafted with appropriate headers, images, links, and proper formatting so people and search engines can understand your content. As your readers consume your content, they should be able to take action easily. This progression depends on User Experience, and this is the result of optimized content on your site. A User Experience Audit is a way to help the company pinpoint areas of your online presence that can improve to help your audience consumer your content more easily. You can think of this type of audit as a financial audit for your company because a UX audit uses empirical methods to expand on existing content and other approaches to recommend improvements to your site. Usability and Structural Audits will help you boost conversions by making it easier for your audience to achieve their goals. This means that your site will be a go-to authority and you will increase sales with improved performance in all aspects of your website. 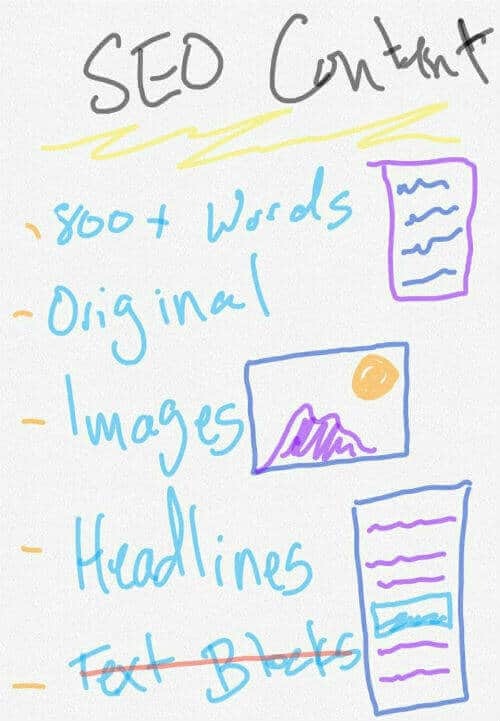 Reviewing the usability and site structure will help you find opportunities to improve your SEO marketing and content copywriting across your site. If your site has navigational issues, then your customers are not able to interact with your content to its fullest. If your customers can’t easily find relevant pages easily, then they won’t be able to interact with your content or buy from you. Not only does this hurt your chances of a sale, but it also has a negative impact on the various metrics that Google takes into consideration when ranking your site in SERPs. The rule of thumb for good website navigation is that you should try to limit the number of drop-down menus across your site. While a drop-down menu was a staple in the website community a few years ago, their helpfulness has decreased with the rise of mobile traffic and Google’s preference for minimal navigation styles. Here are a few of the must-have elements of a good navigation structure on your site. These will all be discovered and considered as you conduct a holistic website audit on your site. A website review will look at how people use your website and optimize based on your business goals. Your business should optimize how you create content for your website by reviewing how people interact with your content. As your business builds out quality website content, you should also consider adding supplementary content in widgets, sidebars, and other areas to support your main content. Using content in these areas provides a great opportunity to drive engagement, and you can customize these areas to display content based on dynamic conditions. This type of content is especially important for a large site and e-commerce sites, like product pages. If your supplementary content is helpful to customers and helps them convert on your site, then Google will see this content and improve the ranking of your site. You should make sure that your website audit reviews all content on your site including supplementary content. This approach will help your website take a proactive approach to SEO and UX conversions. If you want your business to establish itself as a trusted authority in your industry, then you need to maintain a business blog on your website. An SEO audit will not be complete if you do not look at the quality, consistency, and interaction of your blog content. Google loves fresh content because it depends on that content for its business model. The only way to deliver relevant content for online searches is if it is constantly supplied with new content to index and rank. A business blog on your site will have a substantial impact on the overall SEO health of your site. Everything from keyword ranking to qualified leads will be impacted by maintaining a quality blog, and this can only be done if you have awesome blog content that your readers care about. Your blog should answer questions and address the needs of your customers. Not only will this type of content get found by Google, but it will also help attract and convert your audience. A blog should not be focused on sales because the purpose of your blog is to draw qualified leads. Just like the pages on your website, each blog post should have a specific purpose and focus on a particular topic. To get the most out of your blog for your SEO strategy you should link to service pages or other internal core pages in your website from your blog posts. These links should be exact match links with keyword anchor text that relates to the pages that are being linked to. Since Google and other search engines rely on spiders to crawl your site, you need to organize your content in silos to ensure these bots can read and understand your content. The easier it is for Google to understand your content, the easier it is for your site to rank high in SERPs and this is a vital part of your SEO marketing strategy. A proper silo structure of your site is when you construct your content with an architecture where the pages and sections are grouped into such a manner that visitors see links within each silo. 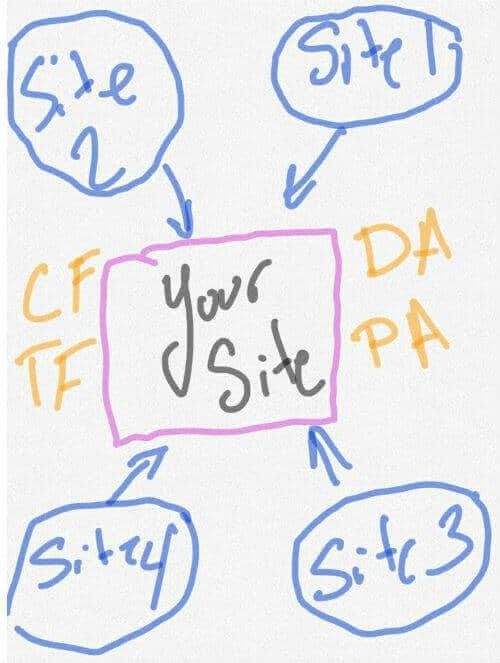 This means that your site should not have pages in different silos that link to other silos that are not directly related. 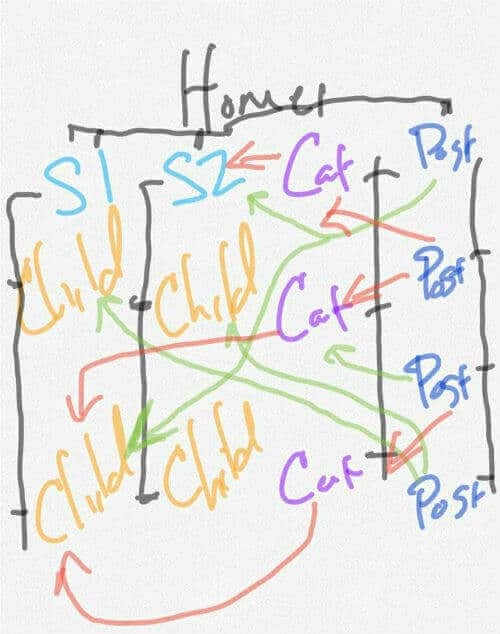 The best approach to maintain this structure is the only link between Parent and Child pages in each silo. Keeping a tight silo structure will help Google associate your content with each other across your site, and this will help the bots crawl your site faster. There have been numerous studies that looked at the importance of Silo structure as a ranking factor in SERPs. If you want your site to rank and drive qualified leads, then you need to ensure that your website is structured in strict silos and interlinking is kept to within each silo. A professional website audit will help you understand how your content is arranged and how you can optimize your content layout to boost your SEO performance. Regardless of your business or industry, you need to have a robust Local SEO presence. At a minimum, you should have a Google My Business (GMB) account set up with all your proper information. Since Google wants to present relevant information to online searchers, your business can appear in the “Snack Pack” top 3 spots for specific geo-location keywords. To qualify for this area of SERPs, your business needs to be verified by GMB, validate the code that you receive from a postcard after registering, and setting up perfect NAP (Name, Address, and Phone Number). Since GMB displays information about businesses in a specific location based on geo-specific keywords, your business should use updated NAP information in GMB. A Website Audit Helps Your Business Today! If you want to make sure that your online presence is working as efficiently as possible, your company should conduct a website audit every six months and a holistic audit each year. This timing will change based on your industry, business goals, and content calendar. No matter what your business is striving to do, you should focus on the quality and quantity of content across your site and brand marketing. A professional website audit will help you build a strong SEO marketing strategy and drive more qualified leads to your site. This will result in more sales and improved ROI for years to come!